Do you need to sell your home discreetly and quietly? Maybe you need to sell for financial reasons, but don’t need to tell everyone in the neighborhood? 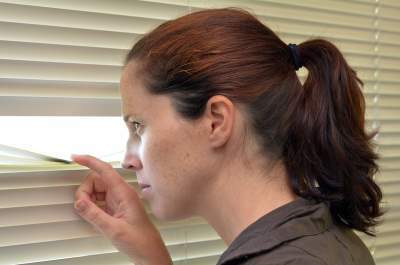 Are you trying to avoid nosy neighbors? Do you have a rental property with uncooperative tenants? Do you want to avoid lots of strangers coming through your home? There can be many reasons to use discretion when selling a home. Public figures and the wealthy often sell their estates using whisper listings. Whisper listings or pocket listings, are simply a form of selling your home without advertising them. Whether you’re going through a divorce, an estate sale due to death, nosy neighbors or simply value your privacy, there are several benefits to selling your home privately. Selling your home the traditional way means putting a sign out in the front yard and advertising your home is for sale. Your Realtor® will also put your property address and pictures on dozens of websites to advertise you property. She will also want to hold an open house and list your house on the Internet so she can find more customers. Then, for the next several weeks or months, you have a parade of strangers driving buy, knocking on your door unannounced and wanting to see inside your home. Are you are concerned about your privacy and wish to keep the entire sale of your home as quiet and discreet as possible? Using our quiet purchase process, you can sell your home off-market. Do you have nosy neighbors and want to keep the sale of your home private ? Maybe, you want to test the market and don’t want to list it for sale, and possibly be embarrassed if you cannot sell it for what you want. Are you thinking of selling your tenant occupied house, but want to be prudent about it? Do you have tenants who are uncooperative? Maybe you tried selling your rental property before, but the tenants wouldn’t let prospective buyers in the home. We see this more often than you think. You let your tenants know that you will be selling your home, and ask them to cooperate with real estate agents. But when the agents call your tenants, it’s always the same answer. “Now is not a good time, maybe next week”. Or worse, maybe you have tenants who always shadow your potential buyers telling them everything that’s wrong with the house! Sometimes family and friends can add to the difficulty of selling your home. Family relationships can be complex. Do you just need to be able to move on with your life, without adding to an already stressful situation? Maybe you have a family member living in the home who isn’t paying rent, but expects you to take care of everything. When your son, nephew or grandson is living in the home, it’s hard to be the bad guy and tell them it’s time to move on. If you have close friends, you may not want them knowing that you’re selling or how much your selling your home for. When this happens, sometimes it’s just easier to sell your home quietly and let your new buyer be the bad guy if needed. Want to sell your home, without all of the hassle of cleaning, organizing and figuring out what to do with the stacks of unfinished projects? Don’t have time to keep your house ready at a moments notice for prospective buyers? Does your home need lot’s of repairs, but you just don’t have the money or energy to deal with them? You can sell your house and skip all of the repairs and cleaning. We’ll buy your house as-is, no repairs, no cleaning. If you’re embarrassed or overwhelmed about your home, then you need a buyer, who is discreet, respectful and considerate. When you sell your property using the traditional process, there’s no guarantee of when your home might sell. It might be weeks or months, or maybe not at all. If you finally do get an acceptable offer, you’re scrambling to pack and move before your close of escrow. You can avoid the uncertainty and loss of control by selling your home privately. When you sell your home privately, your home is not listed on the MLS, and you won’t experience the dreaded Days on Market stigma. This happens when you list your home for sale and it doesn’t sell right away. It’s what is known as a stale listing. When properties don’t sell quickly and the Days on Market ticks up, potential buyers become more and more concerned about what problems a home may have. The longer a home is on the market, the more scammers show up with lowball offers. Maybe, you don’t want your neighbors asking “Why hasn’t your house sold yet?” With our quiet, whisper sale process, you can sell your property without anyone knowing. We buy houses when discretion and privacy are important. We’ll purchase your house for cash. No signs, no advertising, no gossiping neighbors. You can sell your house privately and close escrow when it’s convenient to you, and avoid losing control of the timing. Do you need a discreet buyer? Complete the information below for an as-is, no-obligation, confidential offer.